CHANTILLY, Va., Dec. 7, 2018 /PRNewswire/ -- Lynn Dugle, Engility CEO, chairman and president, received the Washington Business Journal's 2018 Lifetime Achievement Award on Dec. 6. The Journal's editorial team chose Dugle for this honor based on her more than 30 years of success in the aerospace and defense industry, culminating in her coming out of retirement to take over the helm at Engility. Dugle was also honored by the Journal in 2017 as one of their Women Who Mean Business. 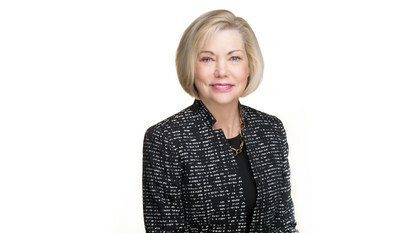 Her leadership and strategic acumen transformed Engility, and positioned the company for its impending acquisition by SAIC. SAIC and Engility announced on Sept.10 that they entered into a definitive agreement under which SAIC will acquire Engility. "Congratulations to Lynn on receiving this prestigious award. Her extensive career and bold leadership make her an extraordinary business woman and colleague," said SAIC CEO Tony Moraco. "I am honored to have worked with Lynn and am proud to continue her legacy through SAIC's acquisition of Engility. Following the close of the acquisition, I am excited to shepherd Engility into its next chapter as part of the SAIC family." Dugle became CEO at Engility in 2016, and President and Chairman of the Board of Directors in March, 2018. Her tenure began with a significant shift in company strategy, moving from a low-cost systems engineering and technical assistance services provider to a best-value, high-end systems engineering and technology solutions provider. Under Dugle's leadership, the company won its largest-ever contract, an intelligence community win valued at more than $400 million, awarded in 2018. The company enjoyed a 115% increase in stock price since announcing Dugle's appointment as CEO. Dugle also streamlined the company's organization, and increased investments in employee development and differentiating technologies. The company launched Synthetic Analyst™, a form of explainable AI, in 2017, and MetaSift™, a data analytics integration platform, in 2018. Prior to joining Engility, Dugle held leadership roles at Raytheon, ADC Telecommunications, and Texas Instruments.